Take the guesswork out of selling. 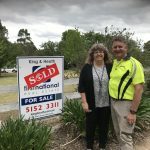 With one of the largest and most detailed databases in East Gippsland, we are able to identify and engage with relevant buyers for your property from the moment you list with us. Location, location, location! Whether you’re in the country or the city, in a quiet backstreet or a bustling main road, location is integral to our evaluation. Some features such as pools, garages and tennis courts can add value to your property. Although, with some buyers, these features might detract. We know how to balance our assessment accordingly. At First National, we’re real estate experts, so we know the market. The value of your property can vary based on market conditions. We understand how important your neighbourhood is to your property value. Factors such as easy access to public transport, good roads, schools, shops and dining help make a great neighbourhood. All houses, old and new, have their charms and downsides. We consider how the age of your property might have an impact on its value. The condition of your home is really important. Factors such as renovations, roofing, mould and structural integrity can add or detract from the value of your property. Dear Peter and Jack,I would like to thank you for the quick efficient sale of my holiday cabin at Paynesville. I had been trying to sell it privately for 18 months with no success. After listing with King and Heath it was sold within a couple of weeks.So many thanks Peter May and Jack Peterson. We can't thank Kirsten enough for selling our home. Her professionalism, honest, integrity and knowledge of the real estate market is second to none. Kirsten was in constant communication with us throughout the inspection and selling period. We have, and will continue to recommend Kirsten to anyone who is buying or selling property.